On November 27th Peter Falk celebrated his 80th Birthday. Falk worked for Porsche for over thirty years playing a key role in the development of many cars including the 911, 924 and 928. In 1982 as Head of Racing Development and Racing Director he was responsible for the formidable 956/962 endurance racers that achieved seven Le Mans overall victories and eleven world championships. 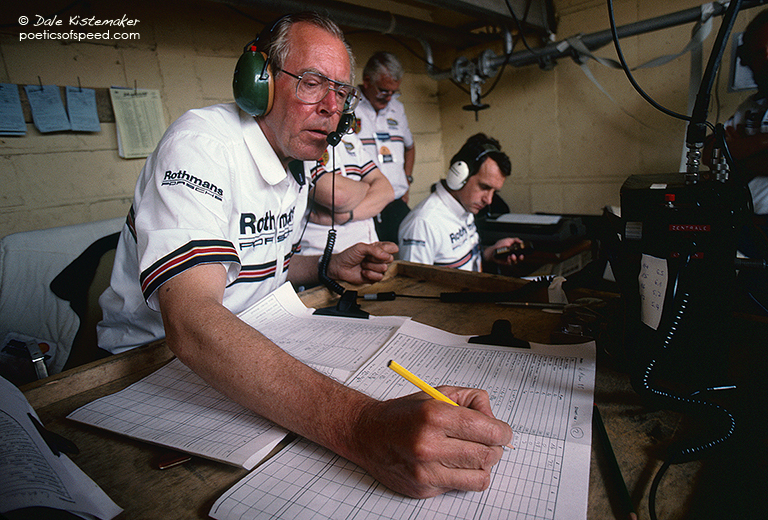 I was privileged to watch him at work at the 1985 Le Mans.